Malta has turned down a Russian request to use its airspace to fly military aircraft to Venezuela, government sources said on Tuesday. The sources confirmed international media reports that Malta had given the thumbs down to a request for Russian military planes to fly over Malta on route from Syria to Venezuela. Malta’s decision comes shortly after the island had last month approved a similar request, with Russian military planes and personnel eventually spotted in the Venezuelan capital of Caracas. Last month The New York Times reported how a visit to Venezuela by two Russian military planes had “set off alarms” that the pro-Venezuela Russian government was stepping up its support of embattled Venezuelan President Nicolás Maduro. According to the US publication, Russian and Venezuelan officials had pointed out that such flights would normally be sent to secluded military air bases beyond the sight of the public. However, on this occassion they landed in open view at the country’s main airstrip: Simón Bolívar International Airport. Russia has emerged as Mr Maduro’s main backer since opposition leader Juan Guaidó proclaimed himself interim president in late January with the support of the United States and about 50 other states, including Malta and the rest of the EU. According to the Russian state news agency, the planes brought supplies and technical advisers to Caracas. 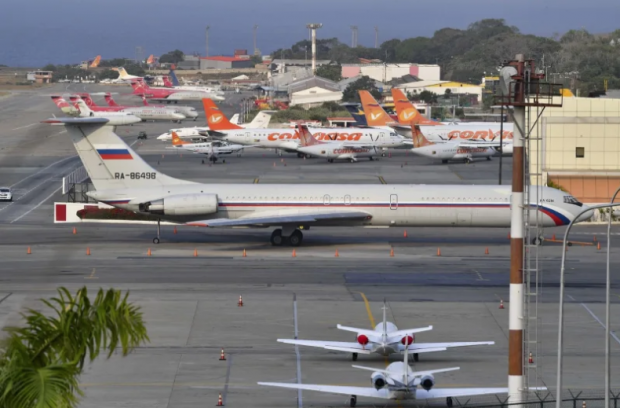 Maltese government sources on Tuesday confirmed that this was in fact the second time this month that the island had rejected a request from Russia to use its airspace for flights to Venezuela. According to unnamed sources quoted in the international media reports on the matter, the Russian embassy in Malta did not take kindly to the rejections, raising concerns of possible retaliation. Maltese government and security sources, however, played this down telling Times of Malta that they were "not overly concerned" about this.